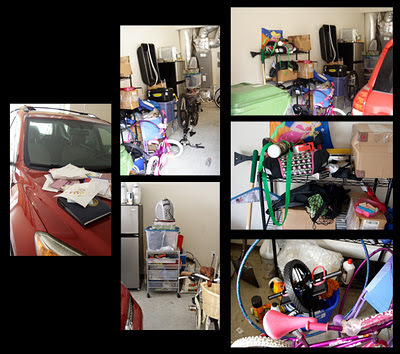 After packing up a 3 bedroom apartment and moving into a 4 bedroom home best believe I did what most people and especially men do --- I unpacked what was essential and the rest I stuffed away not too neatly in corners and the garage, making the mental note to "get to it later." Later didn't happen until now. Armed with my Brother P-Touch Label Maker, 2 sets of wire racking, a Husky tough hook and some generic wire hooks from IKEA I set out to change the unbearable into the functional. 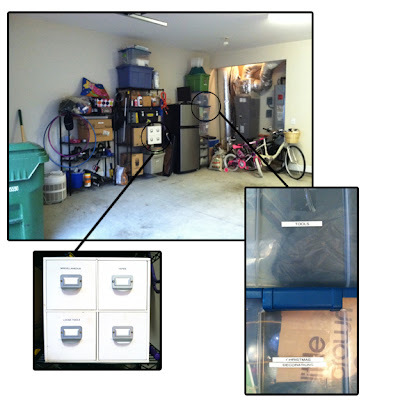 The garage is my domain and technically no one should be down there but me, but the reality is that my wife and son might need to look for something in there when I'm not around and I'd rather the items be labeled then force to rifle through, misplace and possibly destroy the tools and other sentimental items I have in there. Nearly 8 months from my first post on the label maker and the labels are still holding up. They have survived wear and tear, the heat and the cold that is life in my non-insulated garage. 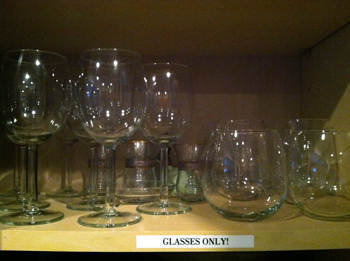 Where they've really held up for me is in the high traffic area of my kitchen where I had to label my shelves to ensure my son put's our dishes where they belong after washing and (sometimes) drying them. I've also used the Brother P-Touch to label files and folders. My daughter even uses it to create text and labels for school projects. It's a great tool to have around the house, especially if you have a family. 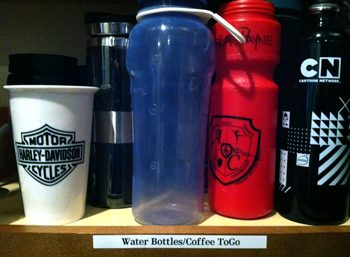 I have been waiting a long time to have a label maker, now that I do I don't know how I've been going along so long without one. Seriously! If you have any ideas or strategies of your own or have questions on where and how to start please don't hesitate to ask in the comments section below. Disclaimers: The views and opinions expressed in this review are wholly my own. I wrote this review while participating in a campaign by Mom Central Consulting on behalf of Brother P-Touch and received a product and gift card to facilitate my review and a promotional item to thank me for taking the time to participate.